Home > Bunnies By The Bay- "Flipper Floppers"
Design Notes: New! 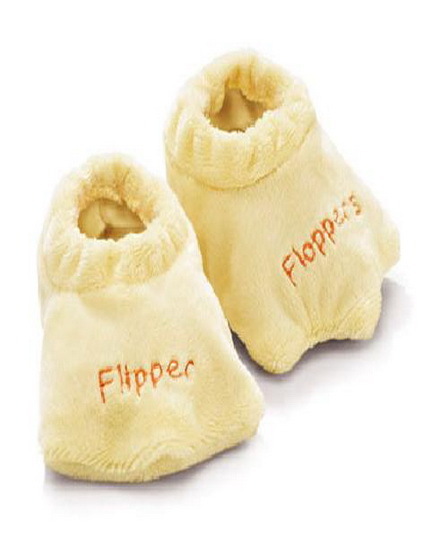 Our slippers have new touches with yellow knit lining and embroidered ¡§Flipper Floppers¡¨ in orange. Machine wash cold. Tumble dry NO heat. (Fits 0-6 months).